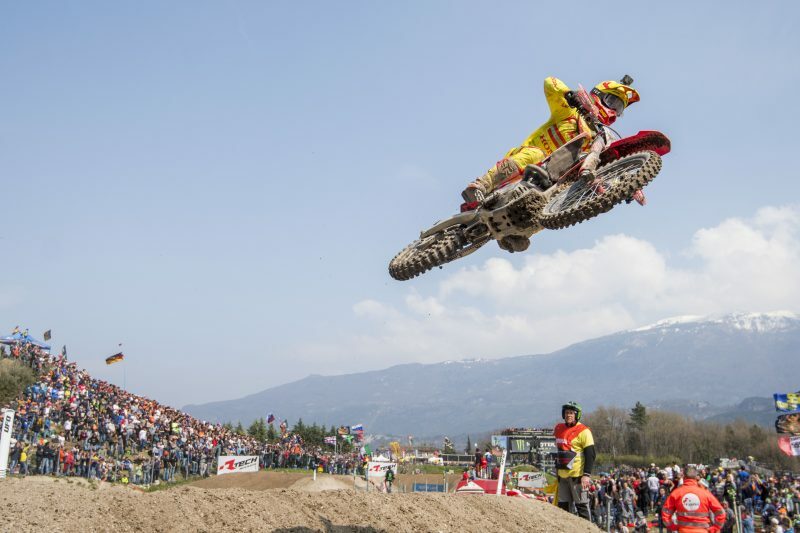 Tim Gajser has enjoyed a solid race day in front of the many Slovenian fans as he was fifth and eighth in today’s two races at Pietramurata – and seventh overall in the classification of the MXGP of Trentino. 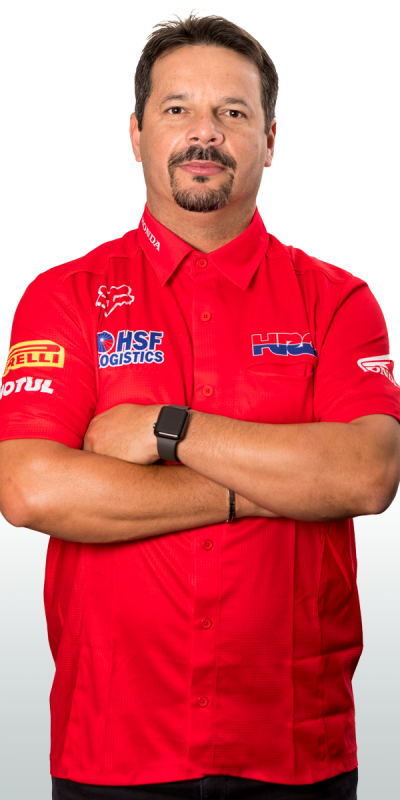 Courtesy of these results, the Team HRC rider moves to ninth place in the championship standings. 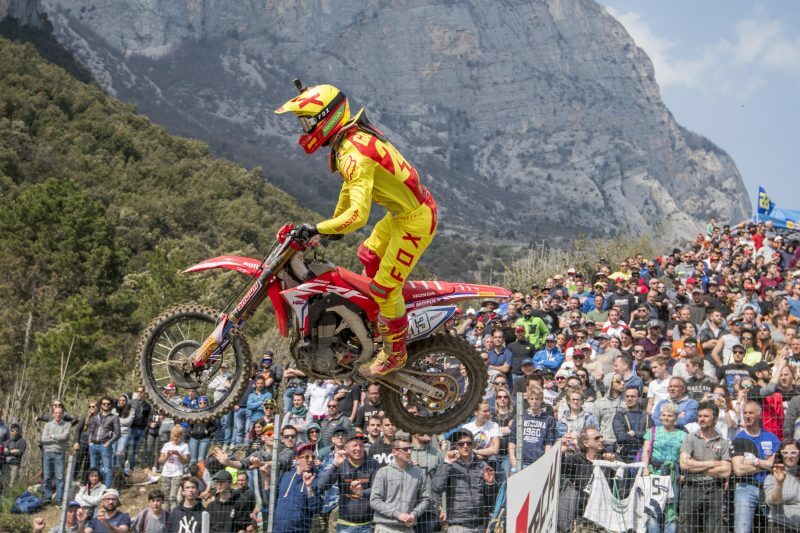 Race one saw a brilliant progression from Gajser despite the poor gate pick and a subpar jump, with the two-time World Champion muscling his Honda CRF450RW through the first turns and up to fourth place. 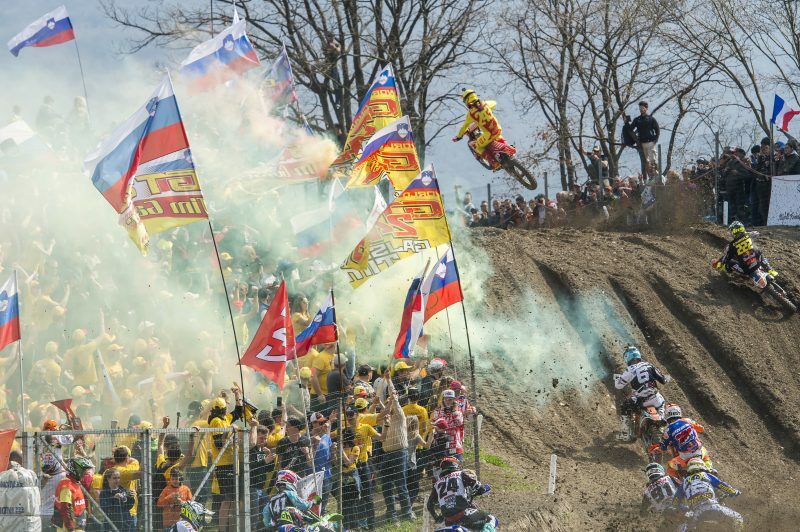 Gasjer maintained the position for twelve laps, before being overtaken by a resurgent Cairoli. Tim’s launch off the gate for race two, however, was not as good as the previous one; after finding himself in the middle of the pack, he lost a lot of ground after riding over an opponent’s wheel – who had crashed in front of him. 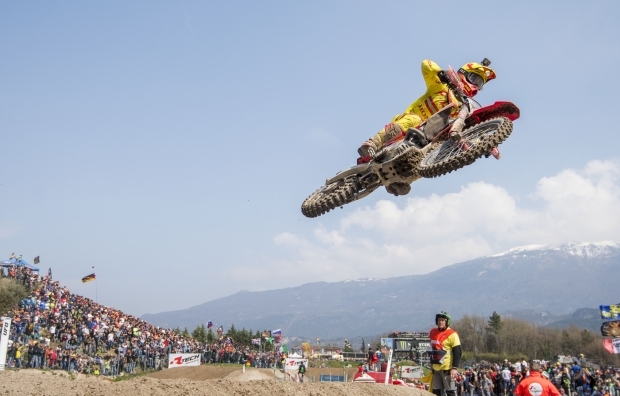 From the back of the field, Gajser quickly recovered a good number of positions and as the countdown reached the 17-minute mark, he entered the top-10. 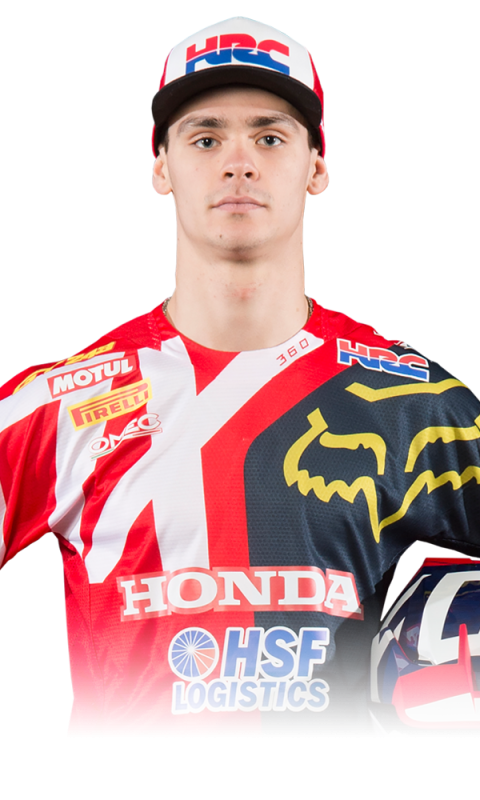 In the final ten minutes, the 21-year-old Slovenian moved up two more places to claim eighth at the finish line. 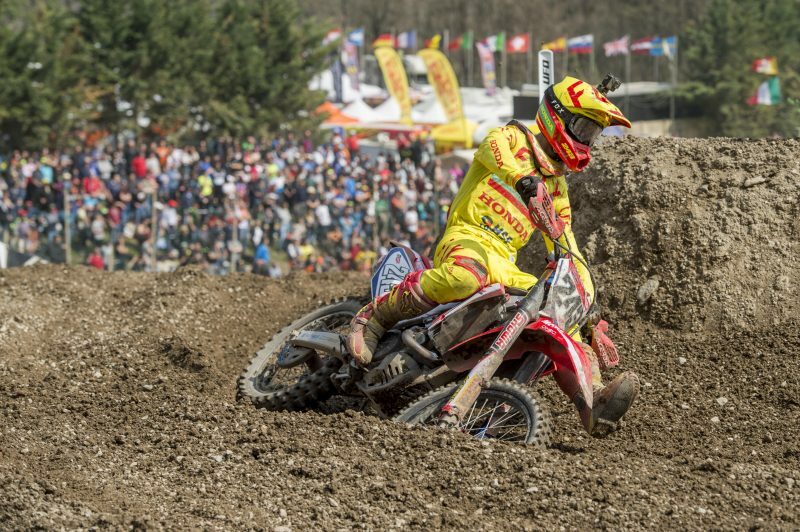 Team HRC will pack up and travel to Portugal to take part in the fifth round of the 2018 MXGP season, which takes place next weekend at Agueda. My race one start was not the best and I got stuck in the pack, but I took the middle line in the second corner and moved up to fourth place. I managed to stay in touch with the front guys for half the race, but after a few mistakes Toni bridged the gap and got past me. Fifth place was not too bad, but it never feels good to be overtaken. I had kind of the same start to race two but someone crashed in front of me and I ran over his wheel. From then on I just tried to recover as many places as I could. We know we can do better than this so we’ll be working hard and make sure to improve our performance and results in Agueda. I would like to thank the team for the amazing job done and my fans, who showed up in big numbers to give me all their support. It was a mixed weekend and surely not one in which things went our way. 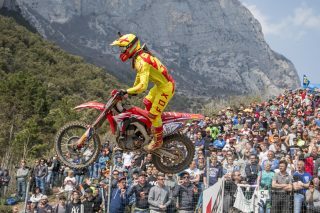 After yesterday’s crash in the qualifying race, Tim managed to stay out of trouble in race one despite a so-so start. 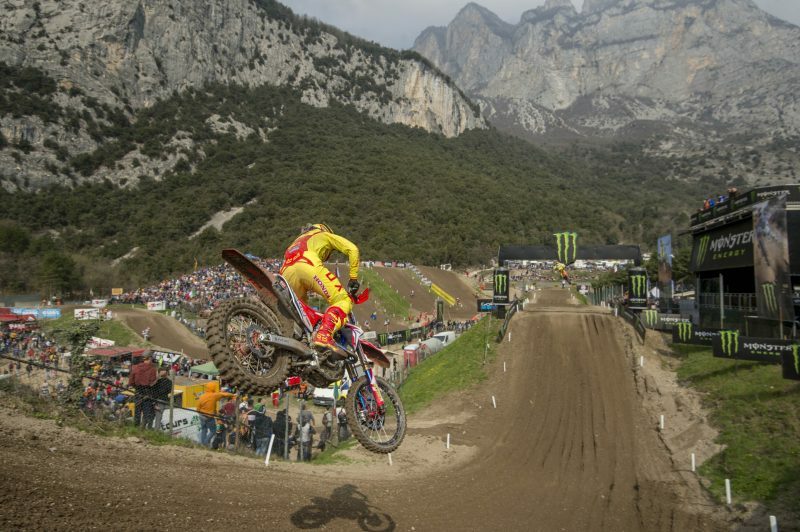 He rode well but then lost a bit of pace in the second half and had to give up fourth place. Race two was again affected by an unavoidable incident, but fortunately enough he managed to recover many places in the early laps and get back in the top-10. We’re not completely satisfied, of course, with how the weekend’s gone, but there’s another round coming our way soon and with that another chance to get closer to the front.